The Wilderness Guardians - Designed in Flash by myself! 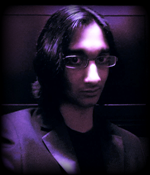 I'm Vio Amethyst, also known as WG/DG Keanu and formerly Keiscool and Kecooler (my past 2 main accounts). I started playing RuneScape in 2003 and have been clanning since 2006, but I only made WG Keanu in 2009. I've always had a strong code of honour, which I still abide by. At present I'm actively playing 2007scape, and try and avoid the modern game when I can. I'm focusing mainly on melee combat, but would like to have fairly balanced skills. I love F2P Wilderness PKs and fights, as well as leading and calling. I've also attended both RuneFest 2010 and 2011. I was quite the clan hopper from 2006 to 2009! Currently I'm Warlord for the Wilderness Guardians, and Second-In-Command for our 2007Scape members. WG has been my home since 2009 and I don't plan on leaving any time soon. At the moment I'm not in any teams, though I keep an eye open. [table][tr][td] [/td][td]IRL I'm Vio, age 20 and living in England, UK. Born: Trinidad (the Caribbean) and grew up in the USA. Occupation: Student, currently taking A-levels in maths, French, English literature and media. Music: '70s Classic Rock, '80s Classic Heavy Metal (though I'll try anything). Hobbies: Musical composition/performance (guitar), climbing, driving, web design. Goal in life: I'd like to go into either film or music production, maybe even direct a few films.